With Montreal’s wildest weekend only a few days away, the energy is already amping up all across the city. There’ll be hundreds of parties all around Montreal but here’s a look at a couple of the most extravagantly indulgent parties you do not want to miss (or worse-hear about how amazing they were the next day if you did miss them)! 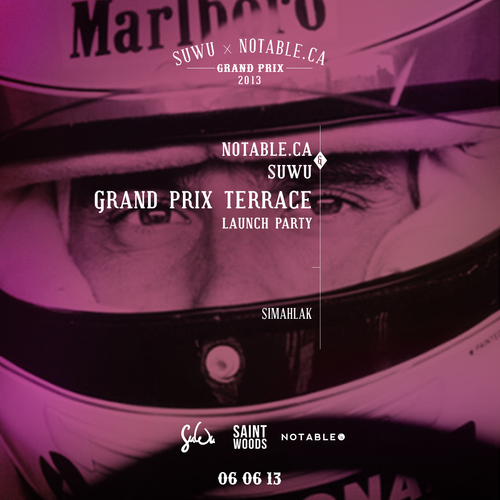 SuWu (3581 St. Laurent) has teamed up with the Notable.ca, Canada’s largest online publication for young professionals (like us), to officially launch their terrace season, this Thursday, June 6. There’ll be a pre-dinner cocktail from 6-8pm followed by dinner from 8-10pm (we got a sneak peek at the menu and among several other delicious servings they have included beef tartar, cheeseburger empanadas, fresh strawberry dessert and more…we’re not giving it all away, just a taste) and then they’ll blow the roof off the place until the wee hours of the morning because that’s how Montreal does it! DJ Simahlak will prove the tunes and it will be a great way to ease into a nonstop party weekend. Tickets are $60.00 for the set menu and indoor seating or $70.00 to be seated on the terrace (for the first 55 people – early birds will be rewarded with prime terrace space). To buy tickets just click right here! KA Magazine teams up with Got Soul Records for the Grand Prix Party at Peopl. On Saturday, June 8, Old Montreal will once again be the host to some of the hottest people around the city (and the world!). This year KA Magazine in collaboration with Got Soul Records will throw the ultimate Grand Prix Party at Peopl. 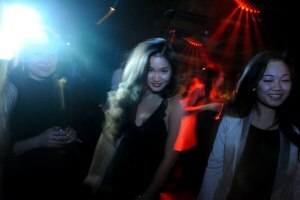 Social Club, one of Old Montreal’s trendiest venues. KA Magazine’s Grand Prix Party is a gathering of fashionable guests and luxury partners for what will certainly be a deliciously decadent affair. Montreal’s very own and very talented Ms. Ashley King will provide a special performance while internationally renowned DJ jojoflores take the stage and keep us going until we can’t go anymore. Let’s show the world that Grand Prix in Montreal is the pure definition of a world class event. A VIP cocktail will be held from 9-11pm followed by the big party from 11-3am. Peopl. Social club is located at 390 Notre Dame West and check out KA Soul Collective here! This weekend is going to be crazy, just the way we like it!